Everyone loves to pick a longshot or tout a big price, but when is the time to actually bet on the longshot? I would base a longshot on the price of the horse that it will pay when he wins. A longshot is not a horse with a morning line of 10-1 that goes off at 2-1. Clearly the line maker made an error and I wouldn’t consider that a longshot. Finding a longshot can start with the expected favorite in the race. We know the favorites win around 35% of the time and sometimes you look at the favorite and need to realize there is very little chance he gets beat. The horse is trying something different, such as stretching out in distance, moving to the turf, trying an off track, etc. The runner is coming off a month or longer with no activity, e.g. workout. The favorite is dropping in class off a good effort, for example, a second place finish in a higher class maiden race. The race shape is against him, for example, a-need-the-lead horse with lots of other speed in the race. 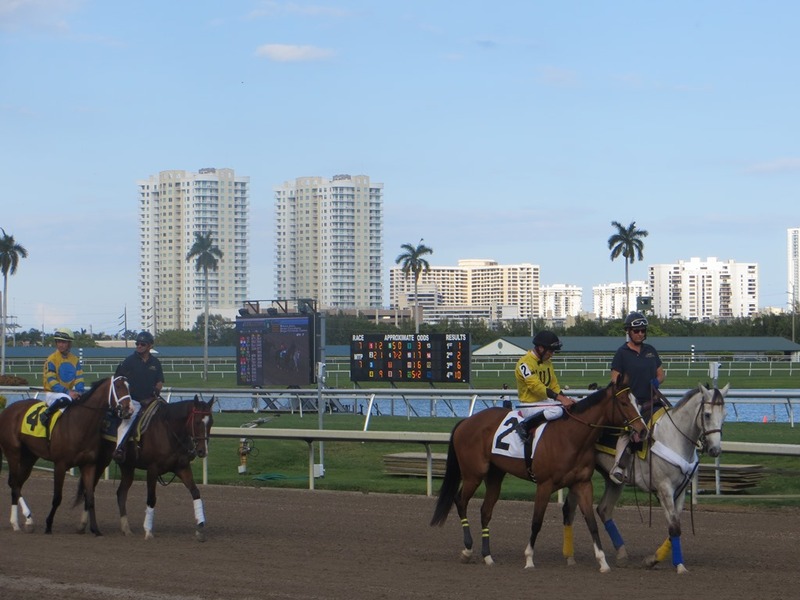 How Well do Horse Racing Favorites Perform? The wagering public has been pretty amazing over the years. Historically, the betting choice, a.k.a. the favorite, has hit the Winner’s Circle at tracks all over the country at a fairly consistent 32% success rate. However, over the past decade or so I noticed that this rate of how horse racing favorites perform continued to creep up. There is little doubt that smaller fields have played a significant role in this increase. The bottom line is that the widely used 32% win rate for favorites is inaccurate by as much as 10% (35 vs 32 percent). Now, don’t get me wrong. I am the first guy who will be quick to bet against the favorite. In fact, that is what I am looking to do every time I handicap a race. Now, don’t get me wrong. I am the first guy who will be quick to bet against the favorite. In fact, that is what I am looking to do every time I handicap a race. However, I like to think that I am not stupid (no witty comments please). I realize that the favorite in most races stands an excellent chance of hitting the board. For that reason, I will often “use” the public choice in my wagers – somewhere – even if I am betting against him. It’s not just an insurance play. It’s playing the percentages, and as a “numbers” guy, that is what I am about. A good example is the trifecta wager. Let’s say you don’t like the favorite. You are playing against him to win. However, realizing this horse could very well “hit the board” the wise thing is to include him underneath in the trifecta bet. 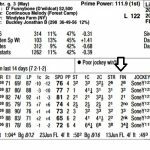 This is a prime reason why “boxing” horses in a trifecta is usually not a good idea. If you don’t like the favorite to win, then don’t use him in a box, where, in essence, you are including him in the win hole of the trifecta wager. Otherwise, you would not be playing against him. This year’s Donn Handicap  was an excellent betting race, a great event to wager on the trifecta if you had an opinion. My top two choices in this field were Trickmeister and Hymn Book. I did not particularly care for Preakness winner Shackleford, but I realized that he could certainly be in the money, especially if he got loose on the lead. With a full, competitive field of stakes runners, this was just the type of situation where you would hate to be right about one of your top choices (marked as A, B runners) but miss the trifecta because you tossed the favorite. Hymn Book (A) and Trickmeister (B) were both square prices at 6-1 and 4-1, respectively. My (C) and (D) horses were Mission Impazible and Flat Out. The idea behind the second ticket would be a form of protection in the event a longshot – or, even the favorite – got up for the Place spot. Alhough the favorite, Shackleford, failed to hit the board in the Donn Handicap, I was protected with this wager in the event he did [provided, of course, that he didn’t win]. Hymn Book (6/1) defeated Mission Impazible (8/1) in a real thriller, as Redeemed (8/1) finished third. The $2 trifecta payoff returned a lucrative $1,296. Even if Shackleford had finished in the money, the trifecta still would have been a nice payoff because of the competitive nature of the field. Imagine if my top two choices, Hymn Book and Trickmeister, had run one-two and Shackleford had ruined my trifecta? If I absolutely hated the favorite and completely tossed him from the wager, that would be a different story. But that wasn’t the case here. Shackleford was the deserving [lukewarm] favorite in this field. That didn’t mean I had to like him. Improve your handicapping. 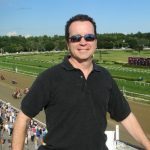 Enter your email address to sign up for the FREE monthly handicapping newsletter provided by A Game of Skill.com. Thank you!